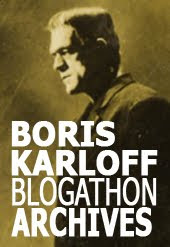 My friend Max at Drunken Severed Head once asked me who I thought was the best interpreter of the Monster role, Karloff aside. I pitched some names, I even stretched it, including Johnny Depp as Edward Scissorhands. One name that I have to put up there among the very best is Clancy Brown, in Franc Roddam’s atypical Frankenstein movie, The Bride (1985). It’s an elegant film, beautifully photographed, with a temerarious script by Lloyd Fonvielle, a pseudo-sequel that riffs off James Whale’s Bride of Frankenstein. It picks up right where the original left off, with the Bride’s frantic creation scene. There’s even a Dr. Pretorius-like character, Quentin Crisp in the Ernest Thesiger part, an inspired bit of casting if there ever was one. Casting the principals had more to do with commercial appeal, though. 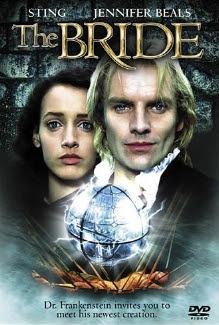 The Baron was played by Sting, then at the height of his rock-star popularity, and The Bride was played Jennifer Beale, fresh off her breakout in Flashdance. The film follows two parallel paths: A cruel Dr. Frankenstein’s troubling relationship with the ingénue Bride, and The Monster’s adventures as he clomps his way through a world he’ll never understand. The difference between the Maker and his Creation is exposed in broad strokes and we are made all too aware, well before we get to the inevitable, climactic confrontation, of who the real Monster is. 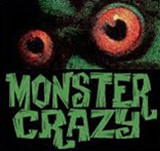 Clancy Brown plays The Monster as a big-baby innocent, utterly guileless, trusting, and easily fooled. Brown’s performance is nuanced, genuinely moving and totally convincing. There’s decency in this Monster’s sad eyes, and real warmth in his easy smile. 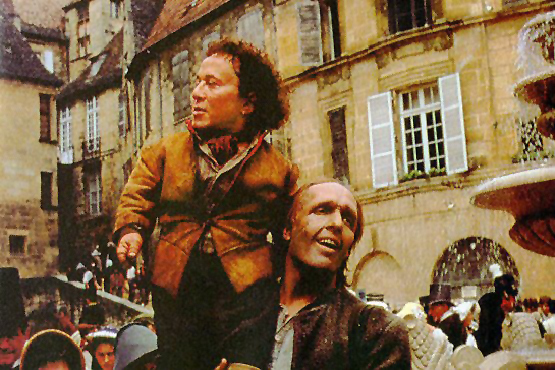 Another memorable performance is given by David Rappaport as the circus dwarf who befriends and educates The Monster. Sting is solid as a ruthless Frankenstein who grows more despicable as the film progresses, but Jennifer Beale’s is curiously bland and unengaging as the artificial woman. The Bride deserves to be revisited. It remains one of the more interesting takes on the legend. It is at it’s best when Clancy Brown’s big-hearted Monster and Davis Rappaport’s artful Rinaldo share the screen, the giant and his little protector, abiding in a world where they are both unwelcome. Clancy Brown's official website features reviews of The Bride. Anyone having Time Warner Cable - they have a Movies On Demand Channel now showing about a dozen various Farnkenstein movies. If "The Bride" replaced Jennifer Beals and lopped that HORRIBLE "Follow your dreams" ending it would a classic. But it is very good whenever the story is following Rappaport and Brown, who give excellent performances. Clearly, I meant "Oscarsson", but typing with my nose while crocked has its disadvantages. 3 cheers for Clancy! I'm in total agreement with you. Not only is The Bride one of my favorite Frankenstein adaptations, one of the best things about it is Clancy Brown's turn as The Monster. I also thought David Rappaport was terrific. I liked Jennifer Beale's performance too since I personally thought she brought a nice "other-worldly" quality to her performance. I also like Anthony Higgins as Clerval a lot. I can't understand why so many people seem to dislike the film, but it's nice to see some positive comments about it here! Absolutely beautiful! I loved this movie to pieces. Every compliment given about Clancy Brown is completely deserved. He did indeed give a nuanced and natural performance as Victor, giving humanity and warmth unlike any Frankenstein I've seen. I loved the friendship between Victor and Ronaldo; it was one of purest, most touching friendships filmed. The Bride has made the top of my favorite films list. LOVE IT!!! Hey, I always thought no one else liked The Bride! Indeed beautiful film in all the way. I really love this movie - and can't help but shed a few tears at the circus tragedy scene. Definitely one of my Franken Favs!